Hand decorated ladies platform shoe made from Belgian milk chocolate weight 200g measures 20cm x 165cm & filled with 5g of milk, white & plain chocolate truffles. Category: Chocolate Novelties & Confectionery. 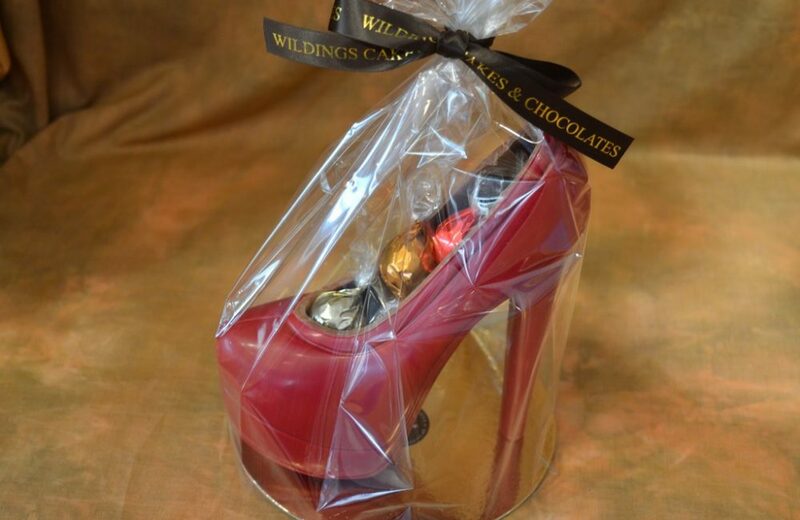 Red ladies milk chocolate shoe filled with 55g of chocolate truffles.